Mediatectonic futuristic brand landscape on 4,250 sqm – that’s what Panasonic shows at the IFA 2008 – a communication architecture that allows interesting and unexpected insights into the Panasonic brand world. Unknown territories waken curiosity and exploratory spirit. The future of media technology is a level that is both fascinating and hard to interpret and yet has to be explored. 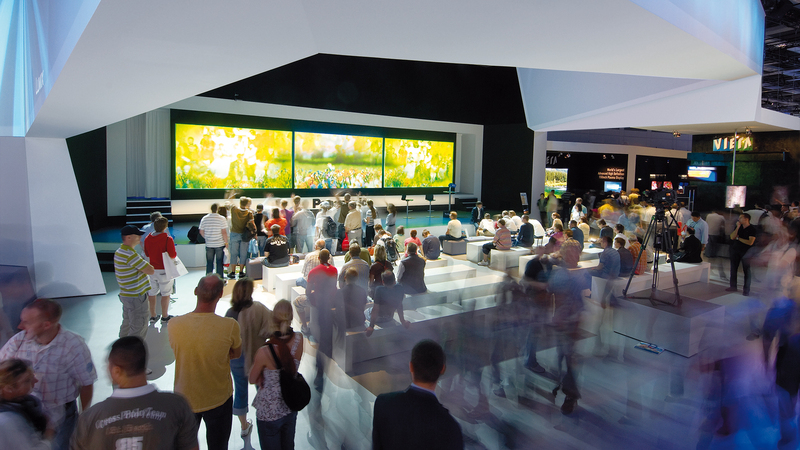 With the fair appearance of Panasonic at the IFA 2008 the task was to architectonically communicate the main theme “Future matters”. 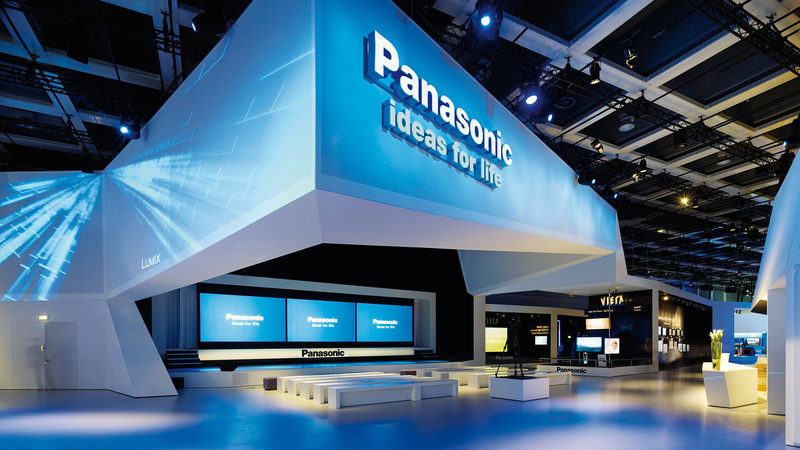 The fair architecture embedment of the Panasonic products fulfills the brand’s innovation claim. The result is a futuristic communication architecture of folded surfaces, jutties and space parts. A fantastic "mediatecture" is created thanks to the large multimedia arrangement. This fusion of film, projection and architecture is based on a media surface arrangement, which accentuates the brand archiecture and brings movement to the static space. This “Terra Incognita”, which results from this design, is a place that visitors can discover and that allows them to discover the trend-setting and surprising product worlds of Panasonic and sensorially and spatially experience the brand Panasonic. Visually, this idea was solved with an architecture stripe that conquers the whole hall. It is systematically folded and flexed and thus generates an extraordinary communication space for the products. 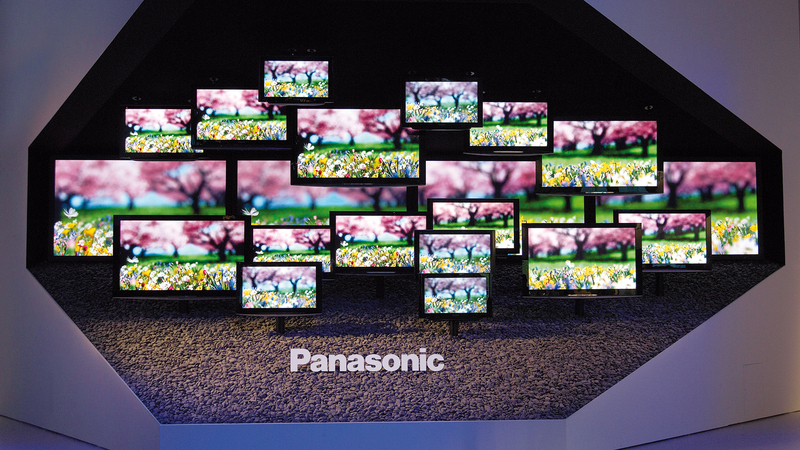 The single product worlds rise from the folding and appear to make the visitor disappear in Panasonic’s world. 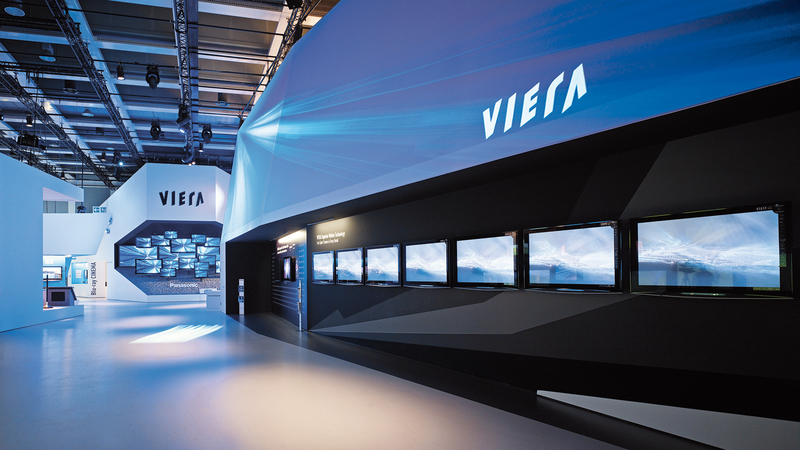 This brand appearance paved the way for following cooperation with Panasonic in the shape of three other successful IFA appearances and the arrangement of the Panasonic Convention 2011 and 2012.